These are the fasteners I have on both the Catch & Plate. Problem is, I also have them in several other areas of the car, including the radiator support to fender & fender skirt. This makes me believe its more of a generic/univeral screw someone used when the car was restored. Does anyone know, or better yet, can you post a pic of the correct factory screw? You and I are on the same page on these things, I don't know why people would be upset, that's what this site is for. Unfortunately, different years. Here's my upper (first two) and lower (last). My bolts look like yours but have the RBW or whatever letters on them. I'd have to get a mag glass to see them though. Spring in upper photo should be black. I've seen variations in bolts used on untouched cars torn apart over the years. If you really want to be investigative, buy up the less expensive unmolested project cars, part them out if you want and resell the carcasses. They are out there. I have gone through a lot of bolts/screws comparing head markings (originals) to the repros which do not match many times but we all know there were many suppliers. As you assumed Marty and I'm with ya, I have not noticed or remember that head marking on the bolt you posted so I will assume also they are not original. I have mine bagged but will have to dig through the finished and non-finished bolt bags to find. Memory tells me RBW was a predominant one. No question about being on the same page. I’ve seen you attempt the same thing on other threads & it’s been tough to say the least. Maybe if we stick together on this thing, enough interest will be generated to keep it going. We can’t be the only two interested in this topic. Perhaps part of the problem is no one really wants to take a stand. Or maybe there just isn’t enough information out there that everyone can agree on. On the other hand, there must be a consensus for fasteners or this portion of the Nationals concours judging would be none existant. For me the most important part of my restoration project will be educating myself on every aspect of the ’69 L48. This means reading, sorting data and building databases for everything; including fasteners. The other goal I have is to someday restore the car to a level conducive to concours level specifications. It is my understanding factory fasteners for shows like this are a must have, particularly for the Legend Class shows at the Nationals. If this is true than I would have to assume the same holds true for the upper level Bow Tie Classes. I say this because you cannot enter one without the other, right? Trust me, I would much rather pay someone 50 – 125K to get my car ready for shows like that but guess what…I don’t have that kind of money lying around. And, not to take anything away from the guys that charge that kind of money, but just thinking about what’s involved, there’s no question it’s worth every penny!!! However, I think I would get a heck of a lot more more enjoyment tackling it myself. Anyway, there you have it; my reasons for pestering about fasteners. For those of you whom are willing to help us out...kudos. And for those who are not, I understand completely. Spring in upper photo should be black. I've seen variations in bolts used on untouched cars torn apart over the years. If you are really want to be investigative, buy up the less expensive unmolested project cars, part them out if you want and resell the carcasses. They are out there. I agree 100%. Pretty ironic but out of the blue a heck of a great guy offered me the same sort of opportunity today...I certainly hope he comes through! 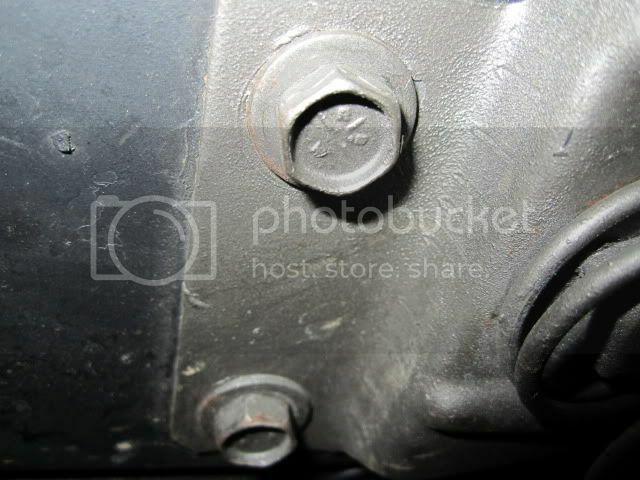 I attached 2 images of the hood catch bolts. One is from a 67 (5B) NOR restored in the mid 80's and one is from an unrestored original 67 (4B) LOS car. The NOR hardware hasn't been 'oiled' in 14 years now. The restored NOR car had all the hardware go back to each component it was used to mount during the restore process. I checked and found most of the bolts the same size within the engine bay had the same head markings as the hood catch bolts in each car. Mike – Thanks for the pics. I sure would like to see more original/untouched fasteners like the one in your bottom pic. Can you make out what is printed on the head? My guess is something similar to 68Zproject's fasteners. Survivor car has or sure looks like a RBW bolt. There is no clear path for bolts/screws and it takes time. 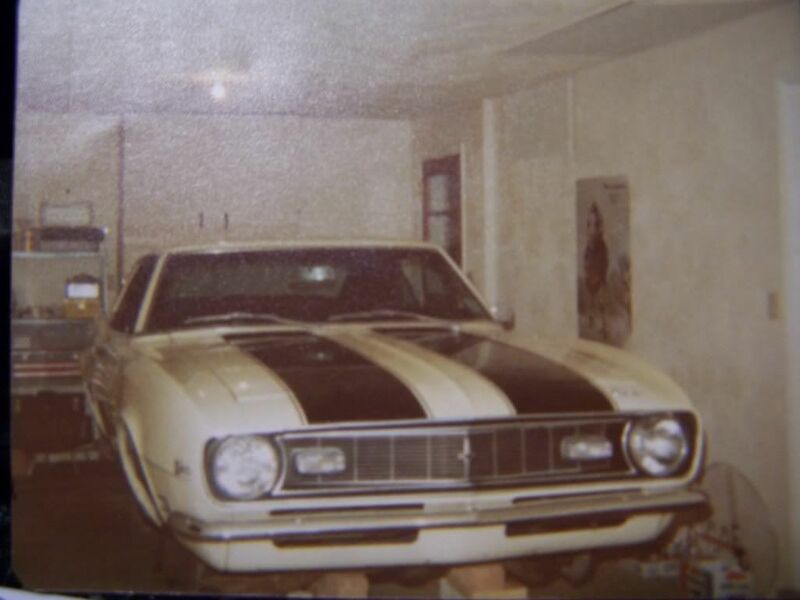 I know and appreciate as I'm restoring as you may know a 68 Z/28 and its taken just huge amounts of hours researching as so many of the small details are not in a book or bits and pieces of info are scattered among many resources. I will be glad to assist any way I can as this and any theads concerning bolts/screws are helpful in our restoration endeavor. I have the original car on a lift so I have to climb up to look at it. I don't mind though. I cleaned the head on the LOS car and the markings are RBW in a semi cross hair. Interesting enough is that these exact RBW markings are on the other same size bolts used in the engine bay including the battery tray, the passenger side of the radiator mounting bracket, fender braces, horn mounting / hood strike assembly and the two front fender to inner tub bolts (5 on each side). 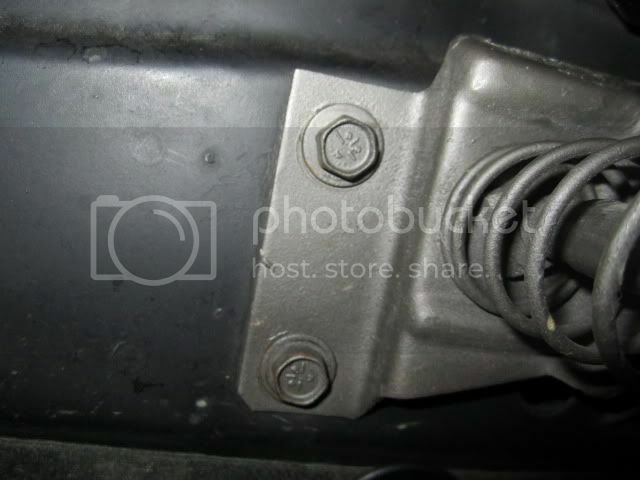 BUT.....these bolts (not including the 4 hood catch in question) have a flat side on the inner and outer compared to the flat outer roud inner shape of the 4 catch bolts (see image of the LOS shroud bolt for the flat inner/outer). 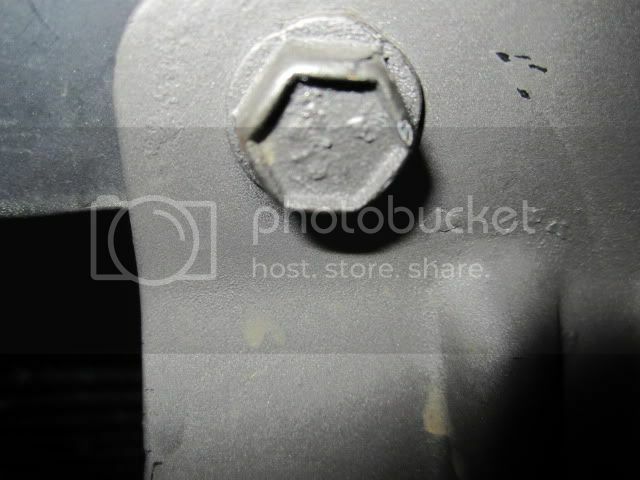 I'm on a roll....looking at the NOR car, same thing...same 'C' in a semi cross hair head markings used for the hood catch BUT the other bolts mentioned above in the engine bay and fender are exactly as the shroud bolt (see NOR shroud image), flat sides outer and roundish inner. The one exception are 2 fender to inner tub bolts which are flat inside and out and have only the letter 'E' as a marking. I suspect the fastener suppliers *may* be near the same geographic region as the assembly plants hence the difference markings. Just a guess. I may have supplied more info than asked but I found this toipc interesting. Maybe head markings would be a good secondary topic. Great pics Mike! There is no way you can supply more info than is asked. To say this is a complicated topic would be the understatement of the year; the more information the better! I'd have to say we have a match for the ’67 & ’68. Your and 68Zprojects fasteners look identical (RBW). I'm pretty sure all that's lacking is to see if the part numbers from your AIM’s line up. Please keep the rest of the information from your post handy. We'll pay that a visit real soon. You've certainly been around the block a time or two...we can certainly use your help Chick! By any chance do you have a pic handy of the fastener you used? I bought my 68 LOS Camaro in 1990 and had to go throught this same thing. The front end was changed and hardware store fasteners were used. I made lots of trips to salvage yards and finally found all the correct fasteners for the sheetmetal. I also verified them from looking at original cars at Pomona and Long Beach swap meets. RBW and an anchor were seen in 67 and 68. More anchors in 67 and few in 68. In 69 I saw more of the C fasteners. This is mostly the bolts for the fenders to inner fenders, upper round braces, hood latches and radiator support. The bolts into the firewall are different. You need to spend time looking at the AIM and a car to see what part number goes where and how many you need. I have that for the 68 standard front end but it's probably not in a publish ready format. Thanks Martin - You are absolutely correct about the bone yards. But my first plan is to get as familiar as I can with the different fasteners and their markings. I would like to know which ones are correct and which ones aren't in the car. Doing it this way will save time and gas. My other dilemma is something Ed mentioned a while back; there were several suppliers for every fastener: which can only mean one thing; each First Gen could have had at least 3 different head-markings for each part number. I would like to know how many options (head-marks) I have for each part number. This would undoubtedly make my bone yard search much more productive. Here is another question; since there were several suppliers and more than one head-mark per part number, could the screws on this hood latch catch and plate, have 3 or more head-markings? So far I haven't seen any for 69, but it would appear my options so far would be "C", "RBW", and the "Anchor". Sure wish someone would recognize the screw in my first pic. I have these everywhere...from the Z21 front wheel moldings to the fender to fender skirts. including the hood latch assembly.